Introducing an all new style of bike. A bike much like the Island, one that allows you to work when you want to - or relax in comfort and style when you don't. 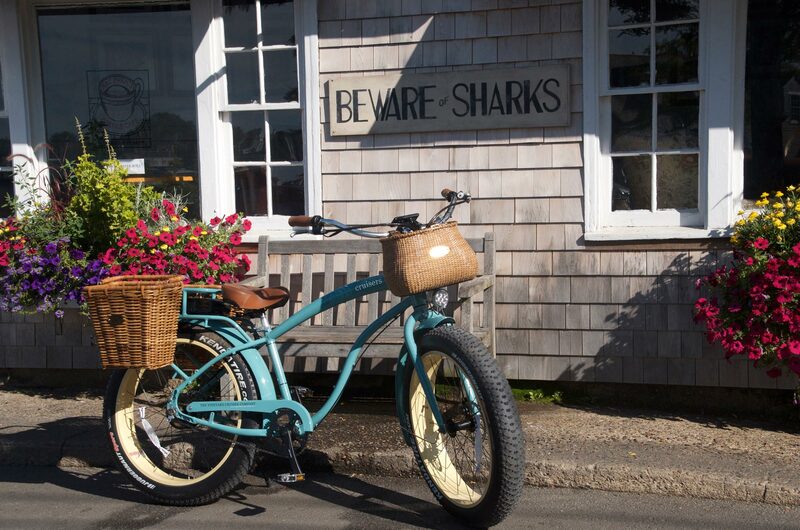 A bike with a price tag that’s more Sam Adams and a lobster roll than champagne and caviar. 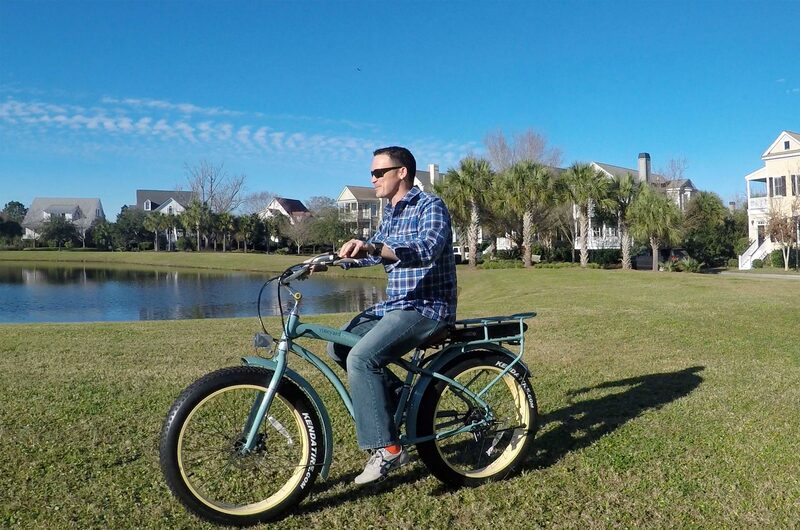 A bike that let's you just sit back and enjoy your surroundings (& good company), all while cruising the path less traveled. 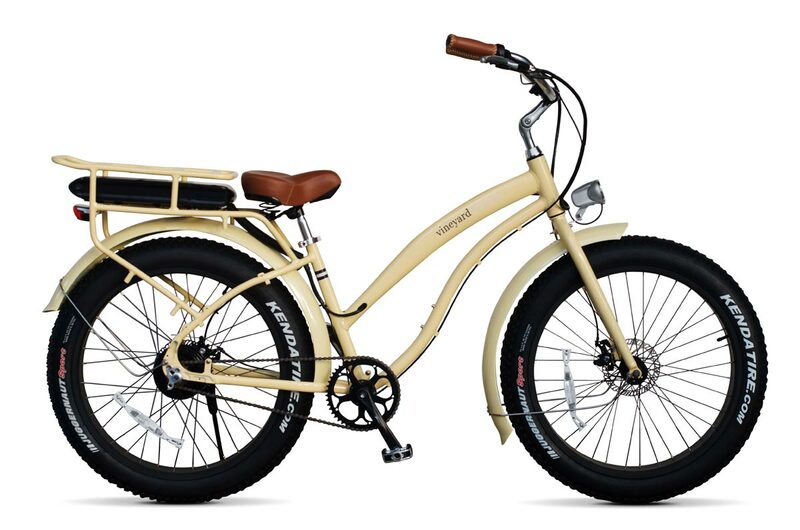 Introducing the Vineyard Cruiser fat tire electric bike. Say hello to effortless comfort. 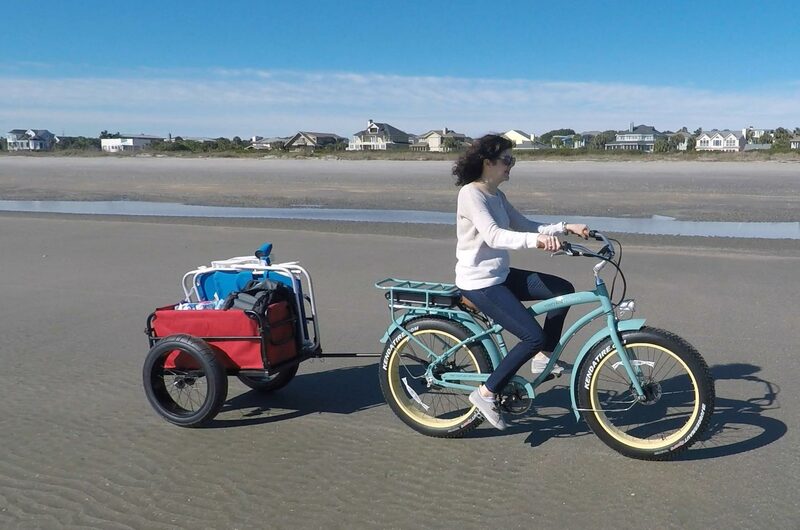 While lightweight aluminum frames and stylish components help bring the classic lines and styling of the island to our bikes, the 4 inch fat tires and power assist take it to another level of comfort, ability, and stability - on the road, the path, the beach, or anywhere you want to ride effortlessly. 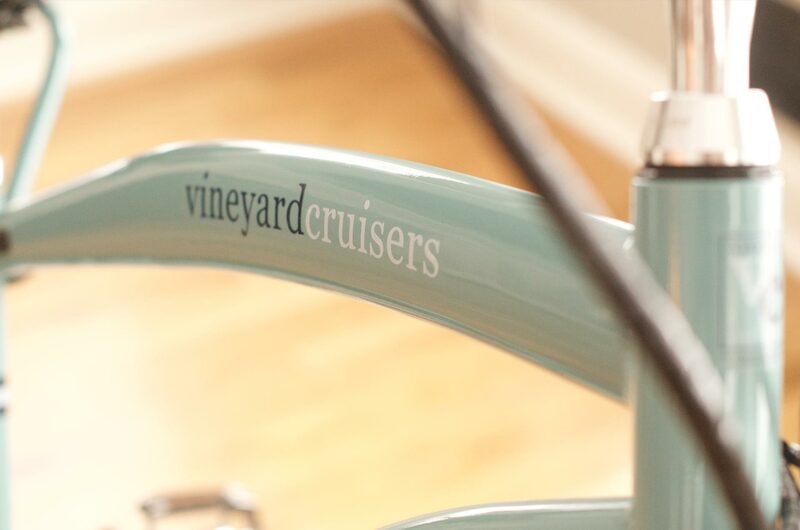 Vineyard Cruisers come in two choices of classic beach cruiser frame styles for all shapes and sizes; traditional or step-through. 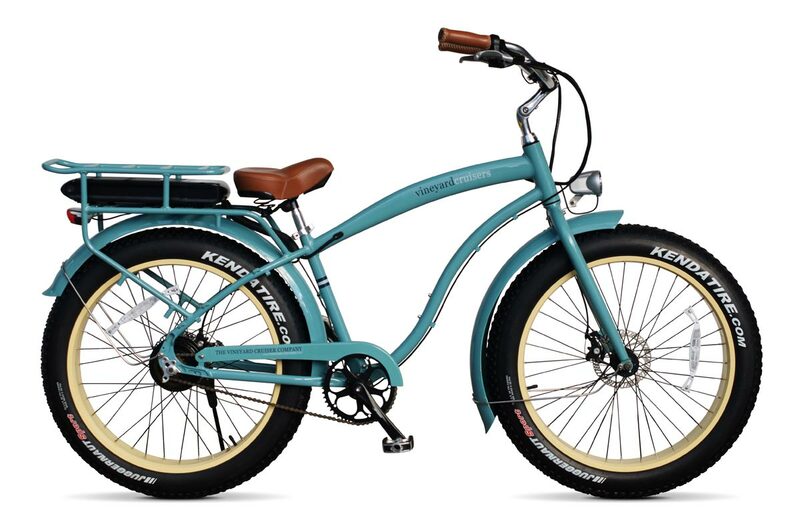 And with four different color combos available - from a light and airy teal to a dark red that growls power - something is sure to grab your attention. 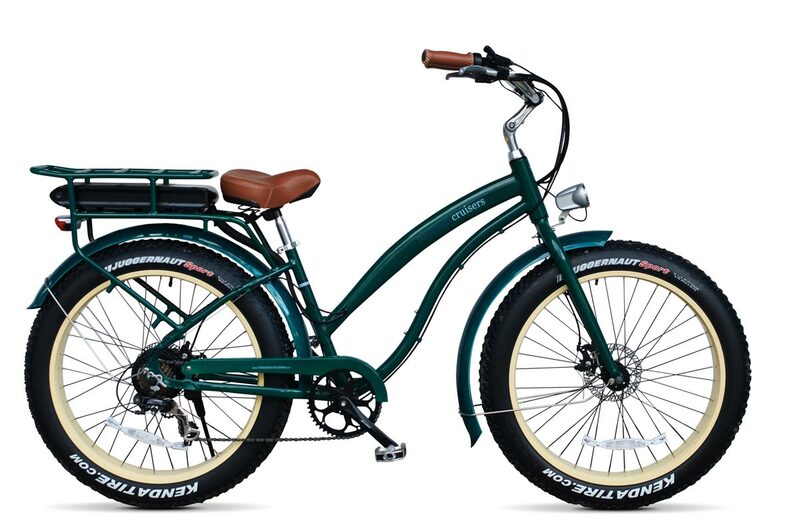 Click here to learn more about the Vineyard Cruiser fat tire electric bike. 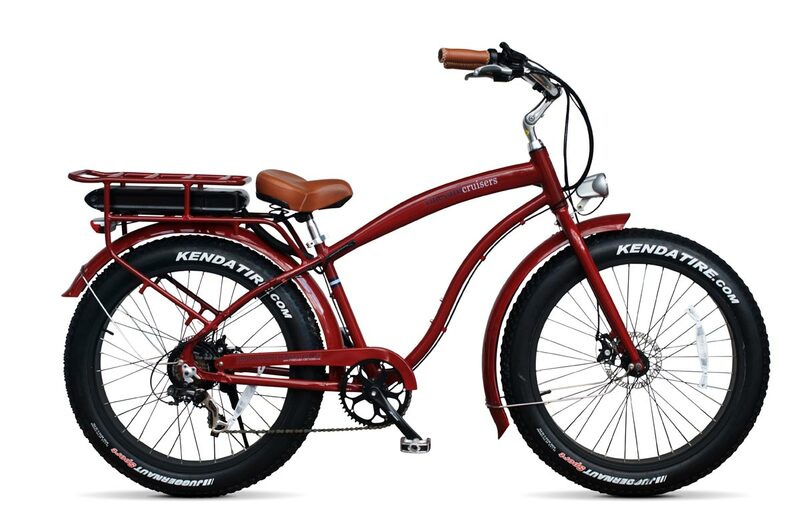 Multiple power choices: From heart pounding excitement to leisurely cruising down the path less traveled, our bikes are available in single speed with 350 watts of available motor assistance, or upgrade to a 7 speed with 500 watts of available motor assistance for better hill climbing and off road riding. 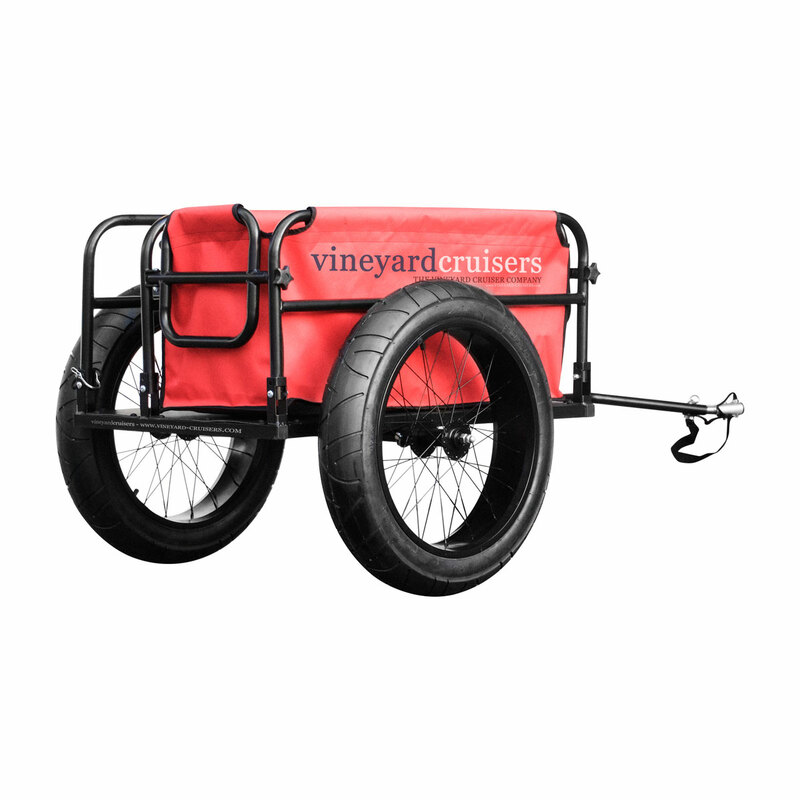 After many long months of work we can definitely see the light at the end of the tunnel; baring any unforeseen delays, our first batch of trailers and bikes are scheduled to be delivered in June 2016 and we’re currently accepting orders for both. Interested? 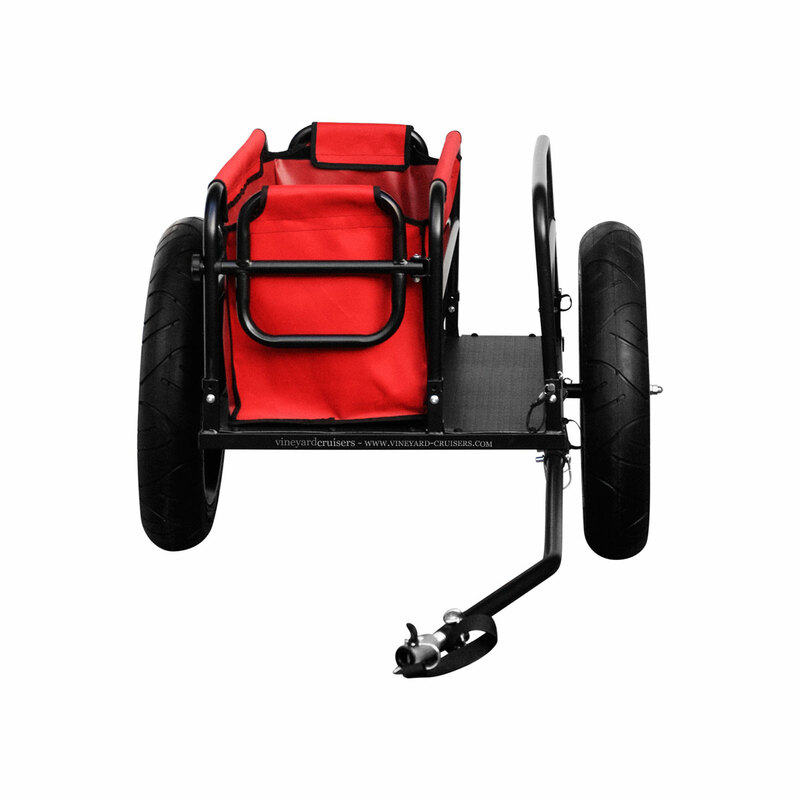 Click here to learn more about the our electric fat bikes or here for more information on the trailers. And if something ever does go wrong, we’ve got you covered. 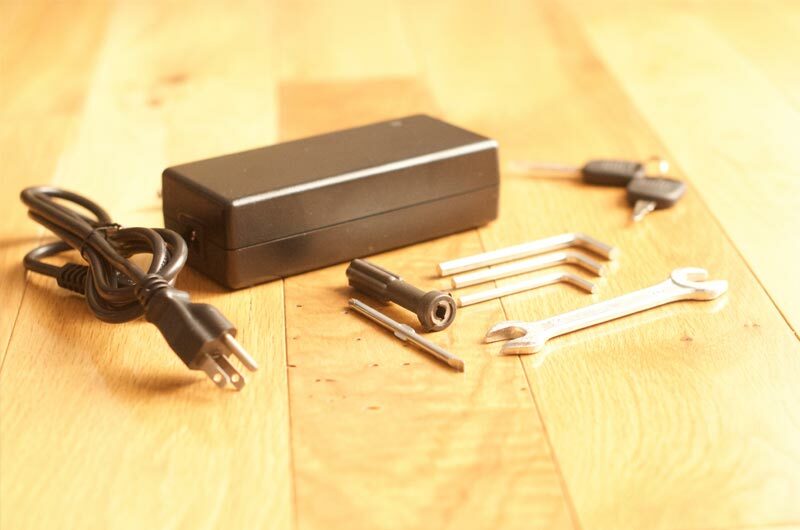 All of our bikes have a full 12 month parts warranty on the frame, fork, electronics, and all other non-consumable parts and components with professional assembly (* see FAQ for details). Plus all of this comes with a price tag that is as sensible as it is reasonable; the Vineyard Cruiser fat tire electric bike starts at only $1,999.99 plus tax and S&H, representing a high level of value for the solid quality of the components and bike - particularly when most similar bikes start at hundreds (if not thousands) more! Want to know more? 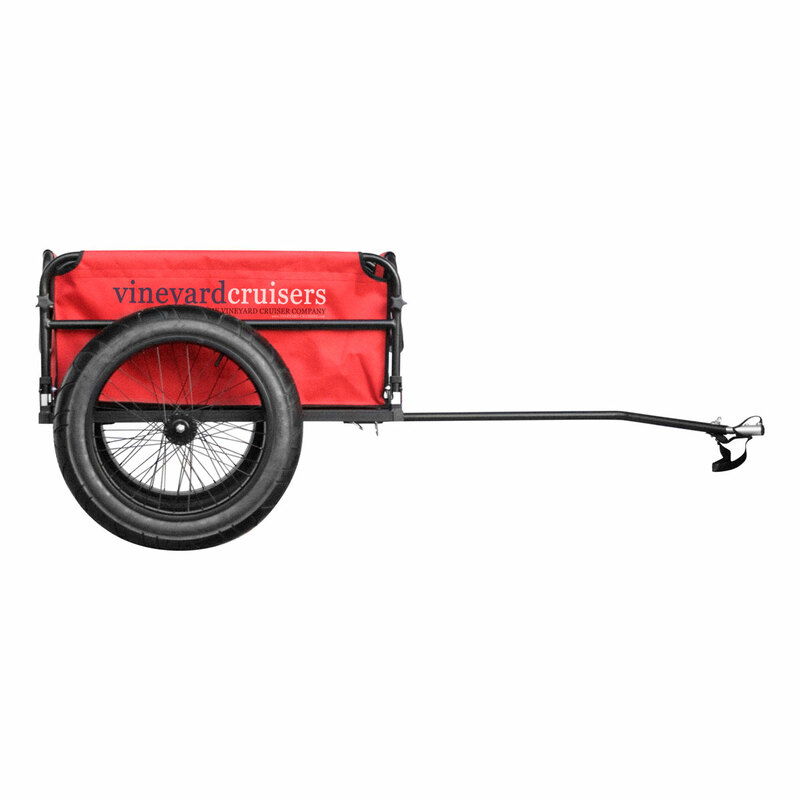 Click here to get more in-depth information on the Vineyard Cruiser fat tire electric bike and it’s capabilities, components, and features. 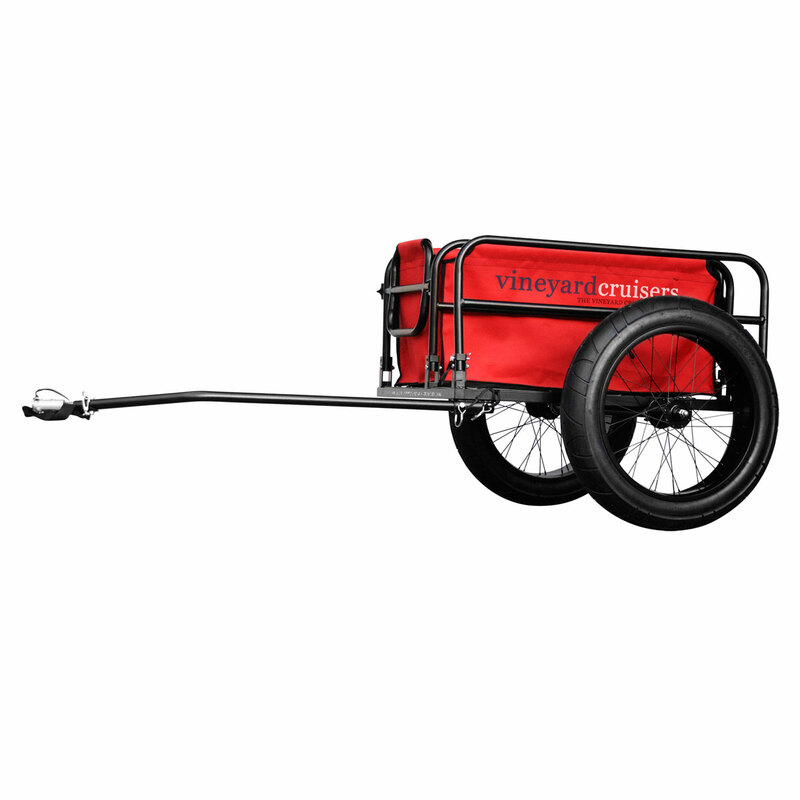 With a super high weight capacity, fat tires for hauling your gear on or off road, and an open-ended slot for extra long items, the Vineyard Cruiser fat tire bike trailer has been specially designed to be pulled behind a fat tire electric bike. 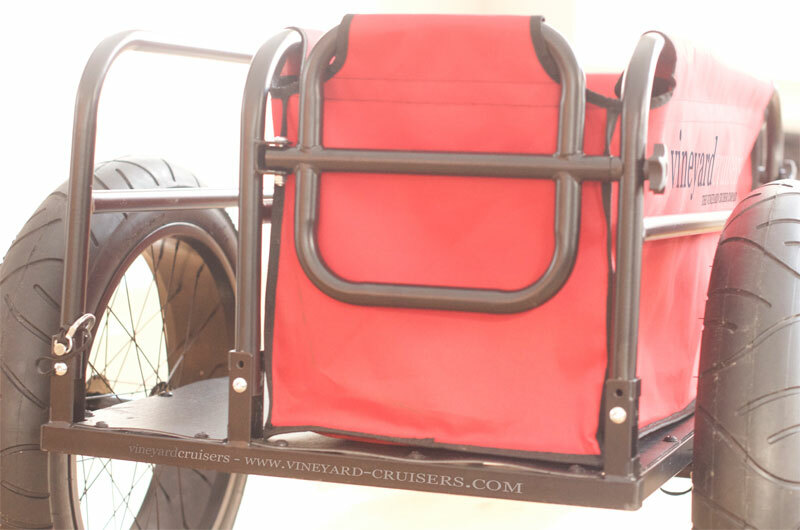 It allows you to bring along everything you need... And then some. 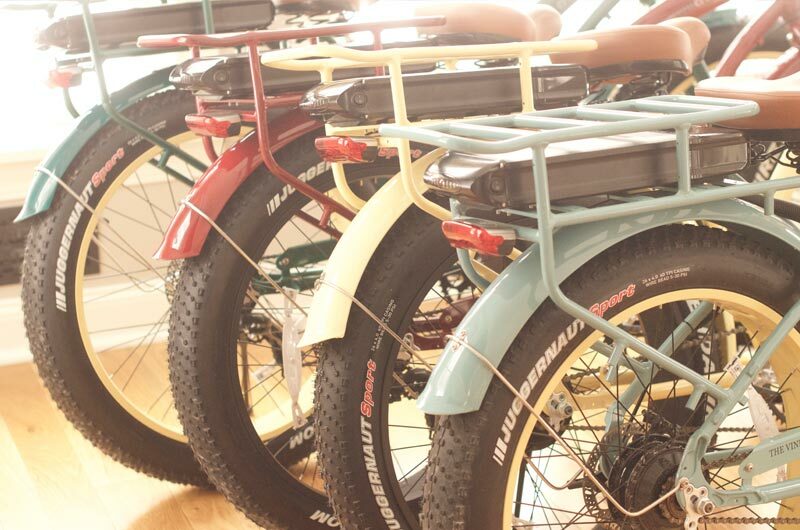 Click here to learn more about the fat tire bike trailer. Copyright © 2017 Vineyard-Cruisers.com. All Rights Reserved.